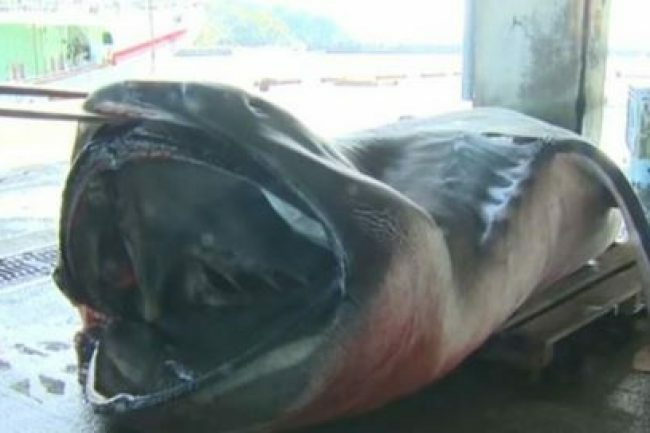 An extremely rare deep water shark has been caught by fishermen in a Japanese village. 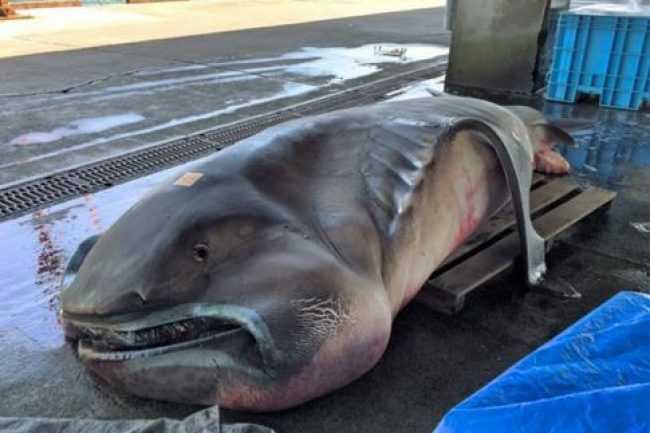 The five-metre megamouth shark was snared on Friday in fishing nets five kilometres from the Owase Port in Mie Prefecture, Central Japan. The elusive shark was bought by a local fish monger and shipped outside the prefecture. 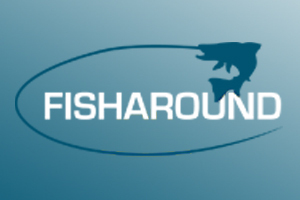 Megamouth sharks have only been spotted 60 times since they were discovered in 1976. Most have been found in Japan, the Philippines and Taiwan, but the first confirmed sighting came in 1976, when a deep-sea anchor accidentally caught one off the coast of Hawaii. Megamouth sharks can reach to a maximum length of five metres and have a life span of up to 100 years. The species descend as deep as 160 metres under water during the day before rising to 12 metres during the night to feed. They swim with their huge mouths open to feed on plankton and other food.